Comments: This low growing ruellia produce multiple stemmed clumps with elongated foliage and trumpet or funnel shaped flowers in several colors that include blue, pink and white. 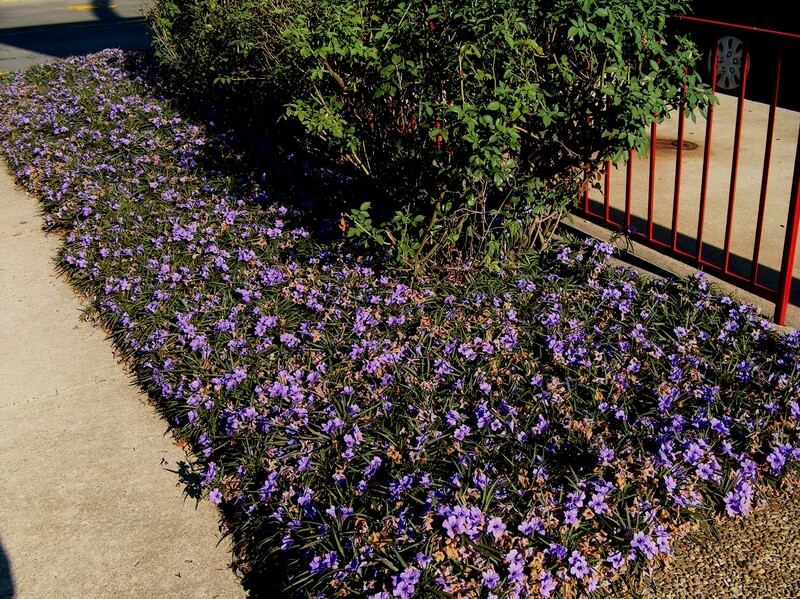 This ruellia makes an excellent spring, summer, and fall ground cover and blooms over an extended period. Plants die back to the ground at the first frost, but normally return unless there are severe freezes. This ruellia is a prolific self-seeder. Cut back old crowns and new growth will come from the root system.